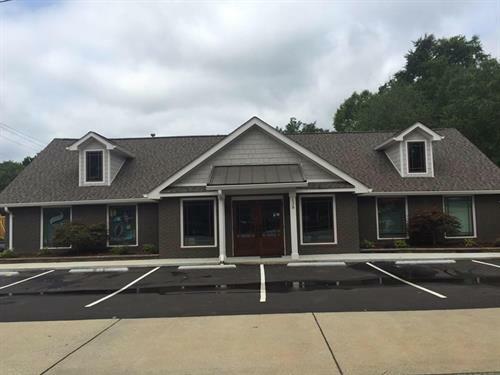 Conveniently located in downtown Simpsonville- across from Extreme Tees, between Danny Smith's repair shop and Vaughn's produce store. Securities offered through Raymond James Financial Services, INc. Member FINRA/SIPC. 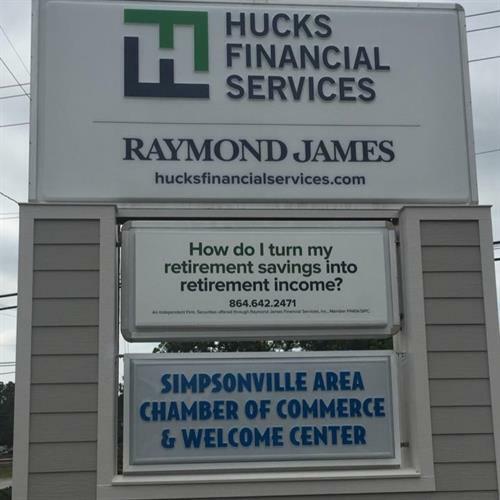 Investment advisory services are offered through Raymond James Financial Services Advisors, Inc. Hucks Financial Services is not a registered broker/dealer and is independent of Raymond James Financial Services. Certified Financial Planner Board of Standards Inc. owns the certification marks CRP, CERTIFIED FINANCIAL PLANNER, CFP (with plaque design) and CFP (with flame design) in the US, which it awards to individuals who successfully complete CFP Board's initial and ongoing certification requirements.